Educational events provide information about timely and relevant healthcare issues. These events are typically held on weekday evenings and include a networking period prior to the main presentation. Examples:Accountable Care Organizations; Patient Protection and Affordable Care Act: Insurance Reforms; Improving Quality, Affordability and Efficiency in Healthcare; HIPAA 5010/ICD-10: The Codes They Are A-Changin. 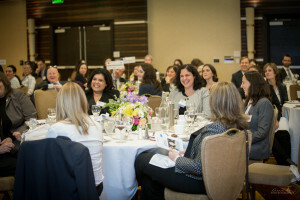 Recognition events honor our members and women healthcare executives who serve as examples within our community. Examples: Woman of the Year Gala, Scholarship Presentation, Member Recognition. Business card brunches provide an opportunity to meet and network with other women executives in an intimate setting on a weekend morning. Social/Networking events provide an informal atmosphere for attendees to interact and network with each other. Example: Careers after your healthcare masters degree. A panel discussion for students.